Mission: Little Bit Therapeutic Riding Center improves the bodies, minds, and spirits of children and adults with disabilities through equine-assisted therapies and activities, and to be an inspiration and educational resource to the therapeutic riding profession, both regionally and nationally. Want to make a difference in the lives of individuals with disabilities? More than 325 volunteers every week are needed to assist the 230 children and adults with disabilities Little Bit serves. No horse experience or knowledge of disabilities is required because they provide training! 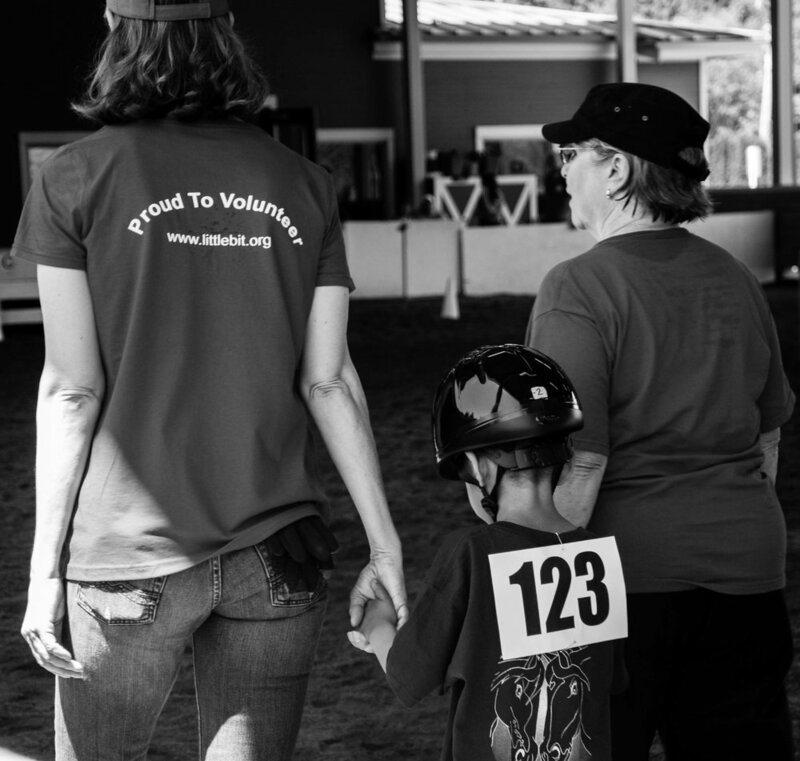 Volunteers are vital to the success of their riders and patients, and form the backbone of their program. Program: Program volunteers assist riders by grooming and tacking horses before class, supporting riders while in class, leading horses, and putting away horses after class. Barn Team - Barn Team volunteers assist with horse lunch and barn chores. Administrative Team - Administrative volunteers support Little Bit’s mission by assisting in their office. Hospitality Team - Hospitality Team volunteers ensure that Little Bit is clean and running smoothly. FacilityTeam - Facility Volunteers are essential to keeping their 17 acre facility safe and professional. Event Team - Event volunteers assist fundraising events.